Even when 50% worn, a Michelin Road 5 tyre stops as quickly as a brand new Michelin Pilot Road 4 tyre thanks to the evolutionary Michelin XST Evo sipes. 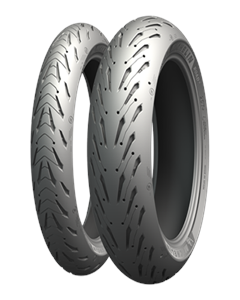 With its improved dry grip and stability and the best handling versus its main competitors, thanks to Michelin’s patented ACT+ casing technology, it offers even more riding pleasure. At Michelin, we never work on one isolated element of performance. Instead, we focus on the whole package: safety, durability and the thrill of riding all at the same time and with no trade-offs. That’s what we mean by Michelin Total Performance, which has and will always be our difference on every tyre.